Russian Translation Pros is a professional translation agency providing translation and interpretation services to businesses and individuals in St. Petersburg, Russia. We work in technology, medical/pharmaceutical, legal, entertainment, and other sectors. We have local, experienced native Russian English linguists to help you with fast and professional services. Our focus on affordability leads to our goal of exceeding customer expectations. Saint Petersburg (also called St Pete) is a Russian city in Northwestern part of Russia. 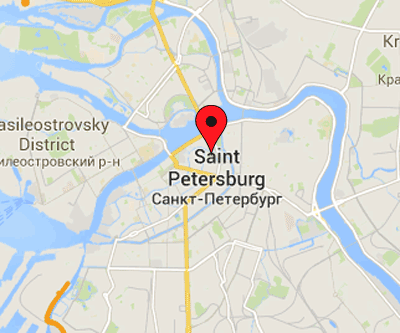 The Russian Transliteration of St. Petersburg is Sankt-Peterburg. Russians call it Piter for short. Americans call it St. Pete. St Petersburg is located on the Neva River and Gulf of Finland. Not so long ago this Russian city was 300 years old. St-Petersburg is the Northen Capital of Russia, or they call it a Cultural Capital. Moscow is an administrative capital of Russian Federation. St.-Petersburg is a very popular place for tourists. It was founded by Peter the Great or Peter the First. That is why it is called St. Petersburg. The population of Petersburg is 4.8 million. And it is the 2nd largest city after Moscow in Russia. We offer Russian translation services, hotel reservations in St. Petersburg, Russia. We work for individuals and small groups interested to visit Novgorod, St. Petersburg, Moscow, and other great places in Russia. Every customer request is unique for us. We will try to find what you are looking for and what best suits your budget. If you have question about your travel reservations, please contact us. We can help you find appartments in Moscow, St.Petersburg, and Novgorod Velikiy. Personal Tours are also available.